1. Bring in 3 large sheets of paper (poster size), enough pictures and glue. 2. Write “in”, “at” and “on” on the top half of each sheet. The above downloadable teaching material is meant for high school students, elementary school students and adults at Elementary (A1), Pre-intermediate (A2) and Intermediate (B1) level. 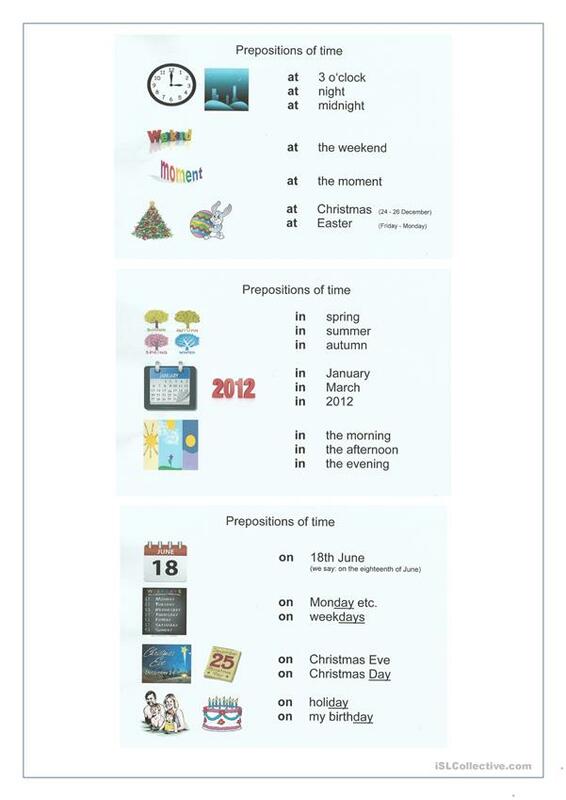 It is valuable for teaching Prepositions of time in English, and is useful for developing your class' Speaking and Writing skills.